I was reminded this morning of something which struck me during a conversation with my parents last year. Some time ago they took up golf, and as with many sporting endeavours they have embarked on before they plunged into it headlong, devoting a huge amount of time and effort into improving their game. Taking lessons, trying new kit and clubs in the hope of finding some new 'magic ingredient'. And they got better. Much, much better - but never seem quite satisfied with how things are. Always want to improve a little more. In this respect it resembles diabetes almost exactly. Now I don't play golf, but from what I can see it appears to have been deliberately designed to be almost unimaginably frustrating on almost every level. For starters the equipment involved and physical practicalities of hitting a tiny ball long distances by whacking it with an unevenly-shaped weight on the end of a long stick almost guarantee that no two attempted shots are likely to yield the same results. And even if you could somehow miraculously steel your sinews to perform each swing with robot-like precision it would still not be enough. The nature of the playing field itself, with gusty inconsistencies of wind and constantly variable grassiness/sogginess/bounciness/sandiness of the ground (apologies for the use of highly technical golfer's terms there) could still turn yesterday's perfect delivery into today's disappearance into the lake. And then of course, there are those brave souls who venture far afield. Just sticking to the same course day-in, day-out is OK for a while, but soon there is a temptation to reach for a little variety. So rather than restricting themselves to a familiar course where their previous experience might at least count for something, they voluntarily put themselves in unfamiliar surroundings. Each shot becomes a wild stab in the dark based on little more than gut instinct and a laughable attempt calculate (hah!) the interaction of a myriad of contradictory variables. On Friday I woke to a BG of 7.3 (131). I ate two slices of toast and because I was going to the gym I reduced my bolus by 80% and set a TBR (temporary basal rate). At the gym I did my usual routine for the usual length of time. I had a measured small amount of fact acting carbs before and after. I tested when I got back and was 10.0 (180). This morning I woke to 7.6 (136). I ate exactly the same breakfast. Exactly the same bolus and basal tweaks were made. I did the same set of exercises over the same length of time. Ate the same number of fruit pastilles. Got back to 6.4 (115). Now I'm fairly happy with either to be honest, but the difference in the two days amounts to almost the entire 'range' that people living with diabetes are supposed to aim at. And I didn't change anything. With Artoo I have a cracking set of clubs, it's just that I'm trying to play golf on a blustery day. 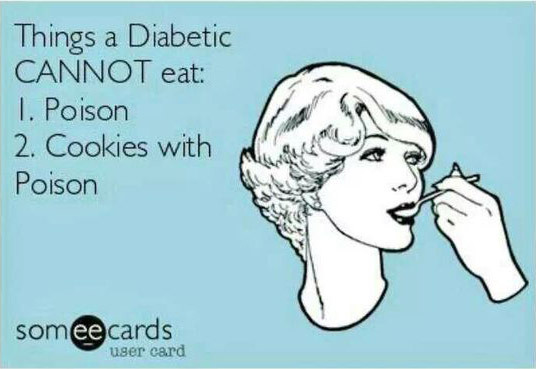 Someone I 'met' on a forum who started on an insulin pump a year or so before me said that in some ways she had to relearn much of what she thought she knew about her diabetes. Many tried and tested observations, and theories as to what was happening seemed no longer to apply. Switching to a pump so fundamentally 'changed the rules' that almost everything had to be evaluated from scratch. I've had a glimpse of what she meant recently when I decided to retry porridge (oatmeal for US readers) as a breakfast choice. For many, many diabetic years I tested primarily before meals with ad-hoc other tests if I 'felt funny' or needed to drive. This was OK in its way, but never really let me see or evaluate what was happening after eating different foods. I didn't look at those choices critically enough for them to make any real sense. 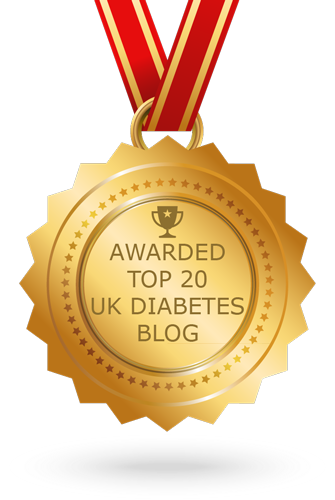 It was only really after 'meeting' folks with Type 2 Diabetes online who have food choices as their primary weapon in the struggle to control BGs that I realised how little I knew from testing about what to expect from different foods. GI values are all very well, but they are only an average from a pretty meagre sample. And averages (as anyone with a BG meter can tell you) can hide a multitude of sins. Having embarked on some after-breakfast testing a few years ago I quickly determined that all cereal is evil. 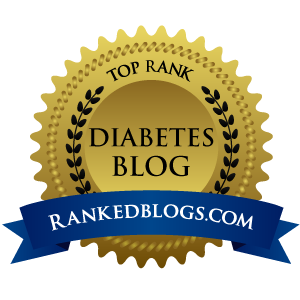 There was just none that I found I could eat and remain in single figures (below 10.0mmol/L 180mg/dl) at 1-2 hours after eating. Porridge seemed a particularly bad example. I may as well have been eating jam. So I concluded that for me porridge was not slow release at all, and stuck to Burgen soya and linseed toast with much better results. I knew that at least part of the problem was a 'gap' in basal coverage that made breakfast particularly tricky time for me. 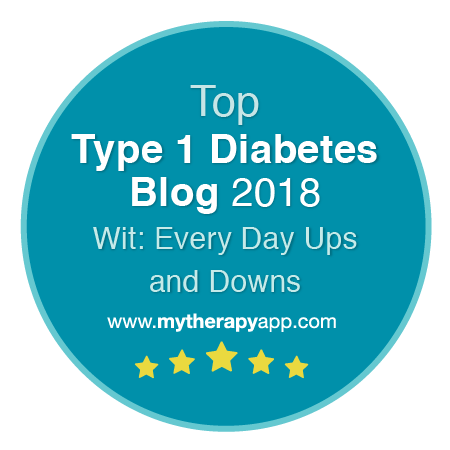 I took my Lantus at breakfast time and while the last dose had faded and the next dose was still dragging its heels in 'onset' I had perhaps an hour with less basal insulin than I needed. The pump of course, has fixed this. Continuous almost infinitely tweakable rolling patterns of basal insulin trickles can allow for the most challenging of basal requirements. Once I had a basic basal pattern working OK I began to wonder whether I might be able to cope with a little porridge every now and then. The first few results are very encouraging. This morning I rose from 4.7 (85) before breakfast to 6.9 (124) an hour and a half later. Porridge it seems is back on the menu. Score 1 for teampump. Artoo and I have been pottering along for almost two months now, and what with the New Year and everything it feels like about time for a bit of a catch-up. Anyone reading who has watched my transition from pump-averse to pumper might be interested in how I have found it in practice. If you have wondered whether pumping might be right for you, but don't really like the idea, I suspect this might be doubly so. Before Artoo and I hooked up I had read a lot of accounts of people who almost immediately felt 'at one' with their new robot pancreas. People who almost forgot it was there pretty much from day one and while most report that it takes a bit of work to get a pump set up and working well the physical 'attachedness' side of things seems to evaporate. I wish I could say that I felt just this way, but I don't. Not quite anyway. *Almost* all the time attachedness is of little or no importance. I've had nights of uninterrupted sleep. No-one around me has batted an eyelid whenever I've disconnected or reconnected in public (at the gym for example). Now that I've worked a way of hanging Artoo horizontally on my belt I no longer get dug/pinched in the side every so often. But in spite of all that there are still a few times every day when being attached by a short string to a lump of plastic is a tiny bit annoying. Most regularly i feel this while getting changed, but also occasionally just getting tubing caught on things. I even managed to pull a set out while hoiking up my trousers one day. Almost nothing, but I certainly couldn't say that I 'completely forgot it was there after a week'. On the other hand, of course, I have already realised that the 24-hour attachment also offers distinct advantages. I arrived at a meeting not long after a meal only to find that some tasty nibbles had been provided. On MDI I would have had to politely decline, but because Artoo goes everywhere with me I was able to guess the carbs, bolus, and get stuck in! And lie-ins... Aaaaaah! Lie-ins. Since moving my basal injection to the mornings I had needed to keep regular morning hours whether work day or weekend, within an hour or so. But now that my basal is automatically following a predetermined pattern I can sleep in as long as I fancy. One thing I hadn't quite expected was how quickly the set-changes would come around. Every two to three days sounded like almost never compared to 4-5 times every single day. In reality though they are quite a bit more of a faff than a single pen-injection. The sets hurt a bit more going in. You have to be quite careful and methodical to make sure you avoid bubbles and so on when setting up the reservoir. Added to that every single set change carries with it a 2-hour period of uncertainty, anxiety almost. Has it worked OK? Is the insulin being delivered? As advised, I make the changes before meals to ensure a proper 'test' but this also means that any slight miscalculation in the meal bolus can look like a potential dodgy insertion. I'm getting better at sensing whether sets 'feel' right in the first few minutes and I've only had one or two that I've replaced within the first hour or two, but it's not something that applies on MDI. One peculiar observation from the first few weeks. I know two others who started pumping at almost exactly the same time as me and all of us had the same, rather odd phenomenon in the first few weeks. People often need quite a lot less insulin when pumping, so it's usual for your team to suggest a new total daily dose, basal and bolus ratios. In the first week these new levels behaved pretty well for each of us, but then, quite suddenly at around 7-10 days we found our BG results creeping upward and each of us had to significantly change what had worked fine the week before to establish a new 'normal'. Not sure of it's just coincidence, but if you are about to start pumping it might be one to watch out for. And what about levels? After all that's the whole point of the exercise... During these two months I've had a bit of everything. Normality, illness, gym, no gym and of course, every diabetic's favourite mental obstacle-course... Christmas. Even in these early weeks I can see improvements. Fewer hypos and fewer and lower highs. And I have to remind myself that I am comparing with MDI results gained while using the Accu-Chek Expert, which (once I had it set up right) provided a general 'smoothing out' from the levels I achieved before that. I've had some spectacular successes, and a few (largely self-inflicted) disasters too. The subtlety of delivery options is a fantastic addition to the arsenal. I still need to do a little more experimentation, but already the potential is plain to see. Most obviously, almost none of the doses I give these days are in whole units. It's always a decimal point here or there, and while my carb guestimates may be no more accurate, at least the doses are more precise so it's one error rather than two. I had expected dual and square waves to be useful for 'tricky' meals, but I hadn't realised how handy they would be at other times. If I'm at the lower end of my range before eating I can just ease the dose in (or just a part of it) over 30 minutes to take the edge off. I'm getting better at remembering TBRs (temporary basal rates) too. I always knew these would be brilliant, but as my experience grows I've seen afternoons playing in the band (with a heady mix of physical effort followed a while later by bursts of stress and adrenaline) that I know from experience would have meant a hypo/high shuffle on MDI pass with bewilderingly serene BGs. Only a couple of days ago we ventured to Bristol's new 'all you can eat' world food market for a leisurely, and not insubstantial, slap-up food fest. Duals and squares (and a few good guesses) left me scratching my head when the awaited BG carnage failed to arrive. I've had disasters along the way. For every success there have been wrong guesses and hasty corrections needed. I think it's quite funny, given that it looks like Artoo may well give me my best year of control for a very long time in 2012 that my very first test of the year (at 0.58 this morning) was 17.8 (320). Ah well... What's life without a few ups and downs.